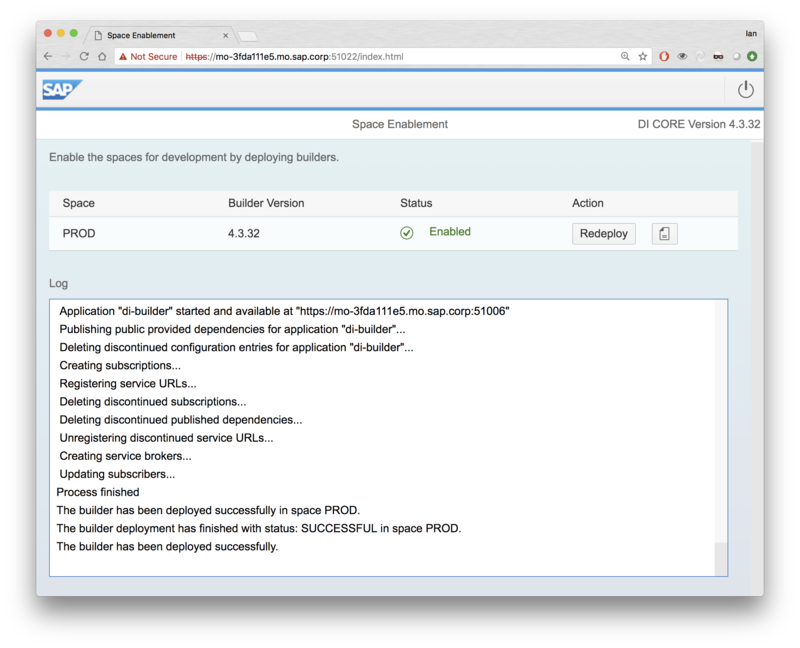 Previously I have shared How to install the XSA WebIDE, the upgrade process is similar. First backup all your existing XSA projects to Git and/or export the mta archives. It’s easy to forget exactly what’s been installed, so I have captured here the pieces I needed. If you extract the XSA Server (EXTAPPSER*.SAR) component to a sub-folder within the same parent directory as the install media (SAP_HANA_DATABASE) then the SAP_HANA_DATABASE\hdblcm will find EXTAPPSER. 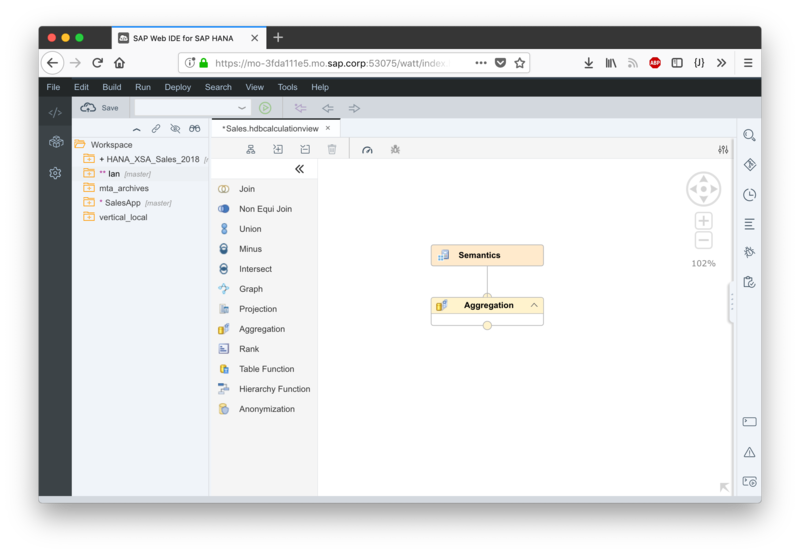 Running hdblcm from SAP_HANA_DATABASE directory and it will automagically find the XSA_SERVER and other packages within the directory structure. Below I had already installed the XSA update using option 3. 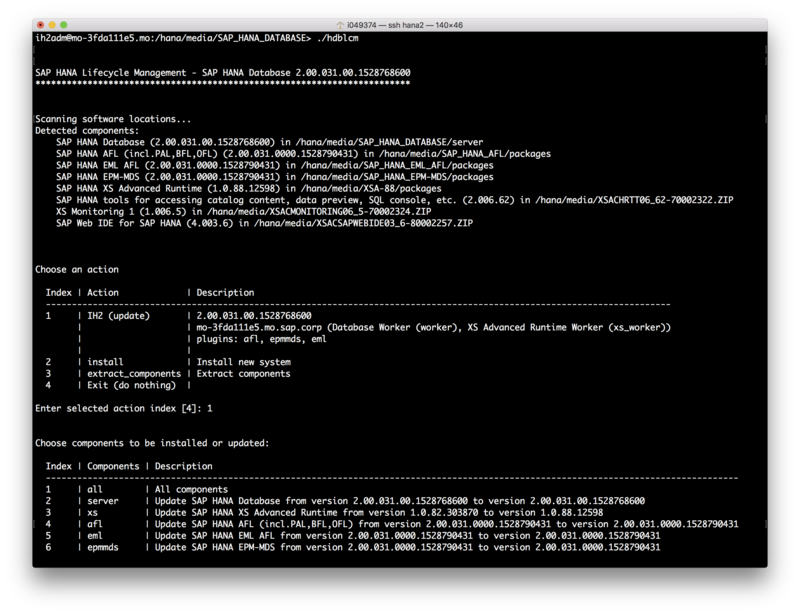 With the install completed I then used the xs client commands to update the WebIDE and associated components. First log into XSA and specifying the appropriate space. I can now go ahead an install the download zip files. 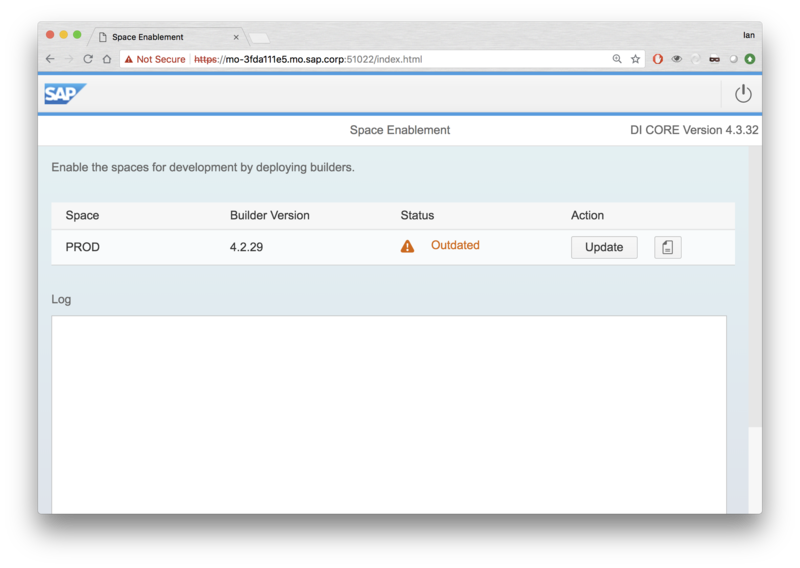 Before actually using the updated WebIDE, it is required update the di-builder via the space enablement your non SAP space. To find out out the URL for this you can run this xs command. Going to that URL,shows the space needs updating with the latest goodies. For me to use external sites such as github.com or deploy to cloudfoundary required a proxy. This can done by specifying the JBP_CONFIG_JAVA_OPTS for the DI_CORE module and redeploying it. I created a .mtaext file with the following contents. After creating the .mtaext file I then needed to re-deploy the WebIDE to pickup the proxy settings. Npm (node package manager) also requires the proxy to be set, I did this as below. SAP Note 2654543 would have the full details. Previously I had not configured a trusted SSL certificate for XSA, but this can lead to unexpected errors with the different xsa services. Each untrusted URL needs to been granted browser exceptions. Frank Schuler wrote a great blog on his XSA configuration, the steps I used are similar but not the same. I had already setup SSL for XS, so thought it would be easy to re-use some of that configuration (it’s not that easy). 2. Convert the .p12 format to pem. Within the newly generated export.pem there are multiple certificates and keys. The Private Key is the required part which starts with. 4. Convert to pkcs8 (that XSA requires). This can be converted with this command. XSA also requires a full certificate chain. This means you need to supply the host, intermediate and root certificates all combined into a single x.509 PEM encoded file. I was provisioning and internal SAP host using our internal Web Enrolment Service. 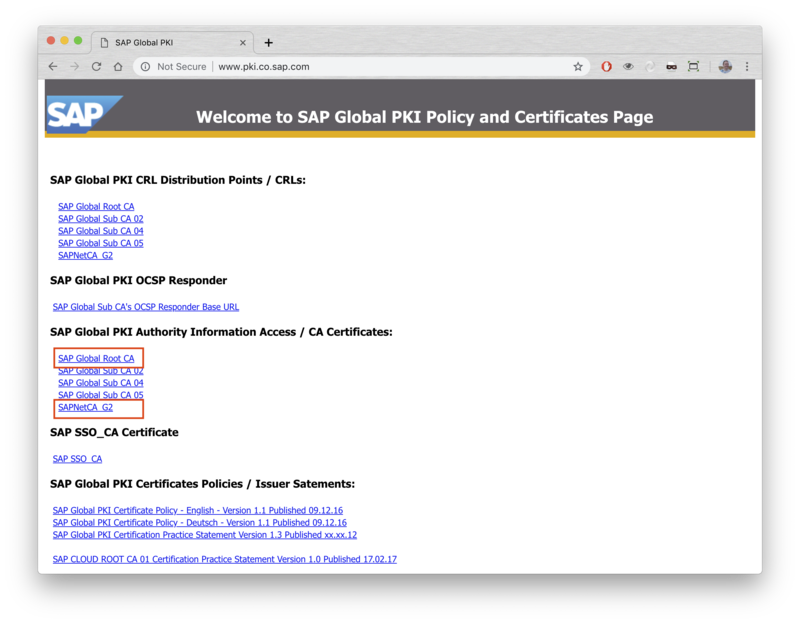 This provides the certificate for the XSA host, but it needs to converted and combined with the full certificate chain. I download the appropriate root (SAP Global Root CA) and intermediate (SAPNetCA_G2), which come in .crt format. After successfully installing the certificate you need to restart each of the XSA apps individually or the whole of XSA (which is easier). This can be dome with the hdbadm user. After which I have XSA & WebIDE running with a signed SSL certificate. Including all the new graphical Calculation View operators like graph, anonymization, union, minus, intersect, hierarchy function, etc. There’s a great Troubleshooting guide in the Help section on the WebIDE. If you do experience issues the following commands are useful for identifying, potential issues. I also found these errors, showing that a process has not started. Here di-core was not starting, due to a lack of allocated memory. 12/12/18 11:11:10.893 [API] ERR Please check state of app 'di-core' [Org 'orgname', Space 'SAP'] (droplet with id 1 of app 'di-core' [Org 'orgname', Space 'SAP'] created by buildpack 'sap_java_buildpack') as the portion of uptime 0.41 is below critical threshold. 12/12/18 11:11:40.878 [API] ERR Please check state of app 'di-core' [Org 'orgname', Space 'SAP'] (droplet with id 1 of app 'di-core' [Org 'orgname', Space 'SAP'] created by buildpack 'sap_java_buildpack') as the portion of uptime 0.33 is below critical threshold. 12/12/18 11:12:10.889 [API] ERR Please check state of app 'di-core' [Org 'orgname', Space 'SAP'] (droplet with id 1 of app 'di-core' [Org 'orgname', Space 'SAP'] created by buildpack 'sap_java_buildpack') as the portion of uptime 0.26 is below critical threshold. 12/12/18 11:12:40.888 [API] ERR Please check state of app 'di-core' [Org 'orgname', Space 'SAP'] (droplet with id 1 of app 'di-core' [Org 'orgname', Space 'SAP'] created by buildpack 'sap_java_buildpack') as the portion of uptime 0.21 is below critical threshold. Rescaling the application fixed this. The root cause for this was hidden deeper in the di-core logs, with an in-correct proxy configuration. Initially in the .mtaext I had “;” separators between my nonProxyHosts, switching to “|” fixed this. Caused by: java.io.IOException: Unable to tunnel through proxy. Proxy returns "HTTP/1.1 403 Forbidden"